Aviation safety is the number one priority for everyone working in the aviation industry. It is also in the minds of those who travel and the policy makers. As we can read almost daily, it's not just a local issue but a subject of international concern. Though often viewed as a simple entity (the safety record, as it is called), safety is an extremely complex matter. It depends upon a dedicated and talented workforce. Maintenance personnel employed by airlines and aircraft repair stations are required to perform their jobs in a manner that will result in a safe aircraft. After approval for return to service the pilots, and other flight crew members are then expected to perform their duties with the ultimate goal of a safe journey for the passengers. This web site was created to provide useful information to both aviation maintenance professionals and students of aviation maintenance. There is information on a wide variety of safety related topics and information that can be referred to by management personnel, inspection personnel, maintenance technicians, as well as those who are learning to become an aviation maintenance technician. For that mater, anyone interested in learning more about the subject of aviation safety will find the information here useful. Clicking on the "Aircraft Certification" button in the left column of this page will take you to our FAA aircraft certification site where you will find useful information about the FAA aircraft certification process. Have a look around this site, by using the table of contents in the left column of this page, or the links below. I am sure you will find information that will be of interest to you. The Aviation Safety Blog is a special page featuring short messages about new additions and updates to this website. The ASB members area has a variety of information related to aircraft continued airworthiness. Proper aircraft maintenance is essential for keeping aircraft and aircraft parts in optimal condition, and ensuring the safety of pilots, crew, and passengers. Regular aircraft inspections are necessary to maintain the continued airworthiness of any aircraft. An aircraft alteration is often performed to upgrade avionics or interior configurations, increase aircraft efficiency, or make safety improvements. When I became a mechanic back in 1976, we were called aircraft mechanics. Now the term used in the U.S. is aircraft maintenance technicians (AMT). The primary goal of the aviation industry is to maintain airplane and helicopter safety standards and protect the interests of the mechanics, flight crew, and passengers. Taking an aviation safety training course, in addition to your qualification training, is highly recommended if you plan on working in the aviation industry. The Federal Aviation Administration (FAA) is the governing body for all aspects of civil aviation in the U.S. Learn more about their role in aviation safety. Federal Aviation Regulations (FAR’s) are mandates for controlling all aspects of aviation in the United States. 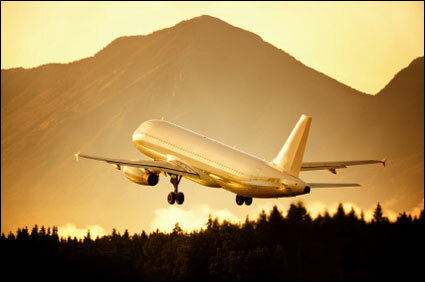 Aviation law is the branch of law that governs the legalities and business aspects of flight and air transport. An aviation dictionary is an indispensable tool for students but also for pilots, instructors, accomplished mechanics and other maintenance personnel. The history of airplanes and helicopters in aviation is still a relatively short chapter. However, the amount of progress between the Wright brothers first flight and current aviation is amazing. This page features general aviation news feeds and any other news related to aviation that you might be interested in. Aviation Safety Search Engine. Search this website using specific keywords to find the information you are looking for. Aviation Safety News is the name of our free newsletter. Aviation Safety Bureau provides FAA aircraft certification services, aviation regulatory training, aircraft technical support services, and aviation safety information to aviation companies.